Here’s is a small project for the next New Moon. And though the new Moon was yesterday, you could already start planning it now. This is called a Vision Board. It is simply a collage of things you inspire to be, own or do. it can also be a reminder of your path, of where you started and where you wish to go. As we all know the New Moon is a time to set goals. For new beginnings. To aid in manifesting our hopes, dreams and desires. These can be as simple as improving a skill or as complex as starting a new business. This board is a way to visualise your goals, your path, big or small. Your board is a very personal thing, and should be thought through, not rushed. It can be as big or as small as you wish. The one of the left is around A3 in size and is one I made yesterday. You may find all the images you wish to use in magazines, or online. Many of mine were sat in various folders on my tablet and all represent various things in my pagan and spiritual life, including Besom Magic. 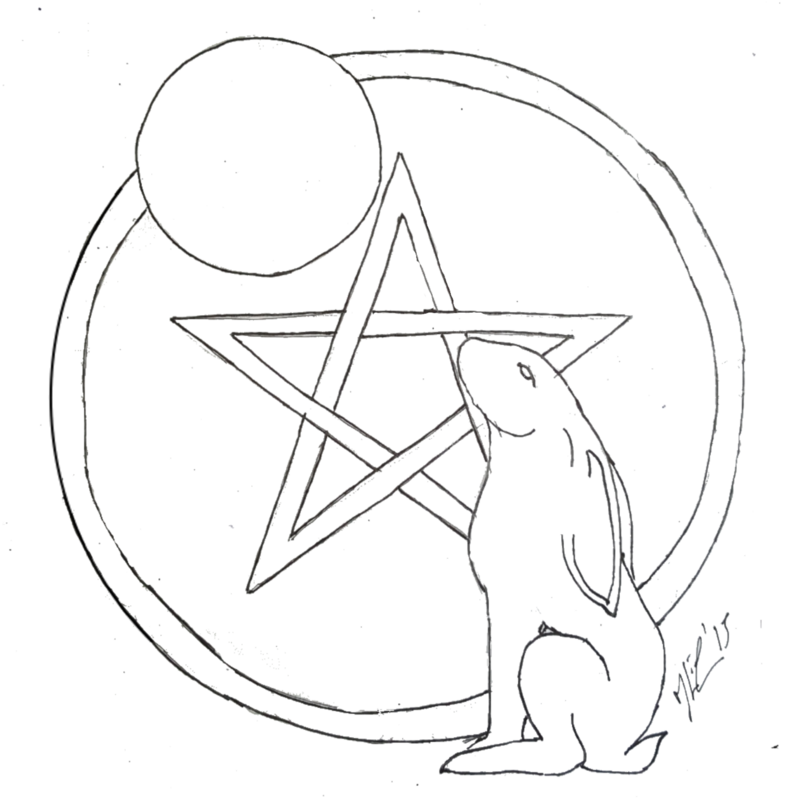 that is represent by our business card the central images of a Hare and Raven, myself and my sisters chosen Pagan names. And also the “From little Acorns comes Great trees.” There’s one of the reason why I should start doing yoga again in the upper right corner “Yoga helps keep a strong mind”. The Labyrinth is simply for me to take the path that suits me. in which ever way I so choose. There are many hidden meanings within this. Things that are personal to me. I created mine I did it in total quiet. No music or phones. nothing to distract, so that all my thoughts went into creating this. it was incredibly therapeutic, as I sat pasting PVA glue onto each piece of paper and and sticking it to my board. And also at times emotional, so be prepared for that. this is you you are pasting to the board. All your hopes and dreams. When you have created your board, hang it in a special place where you can see it everyday and give thanks for all that you have and the things yet to come. where it is a reminder of where you see yourself and the path you have chosen to take. Mine is hung near my altar in my bedroom. I hope you give this activity a try, no matter how small your vision may seem to be. This board will give you focus.